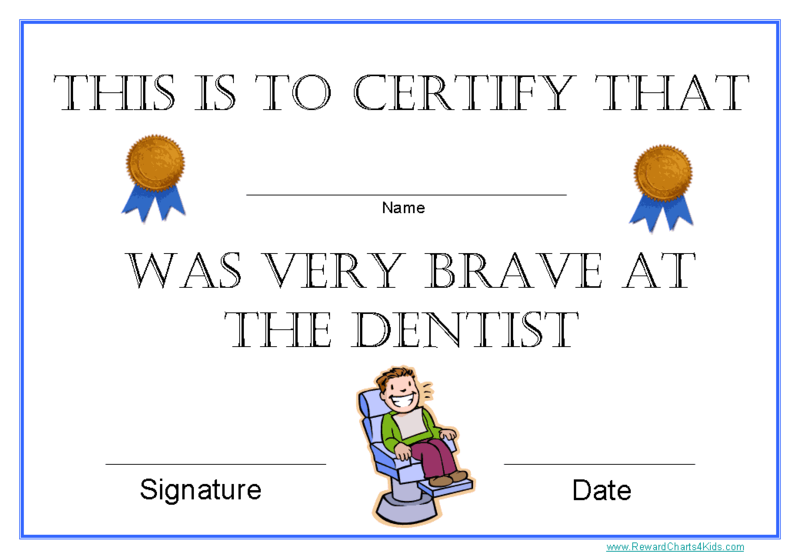 Going to the dentist can be pretty scary for both children and adults. 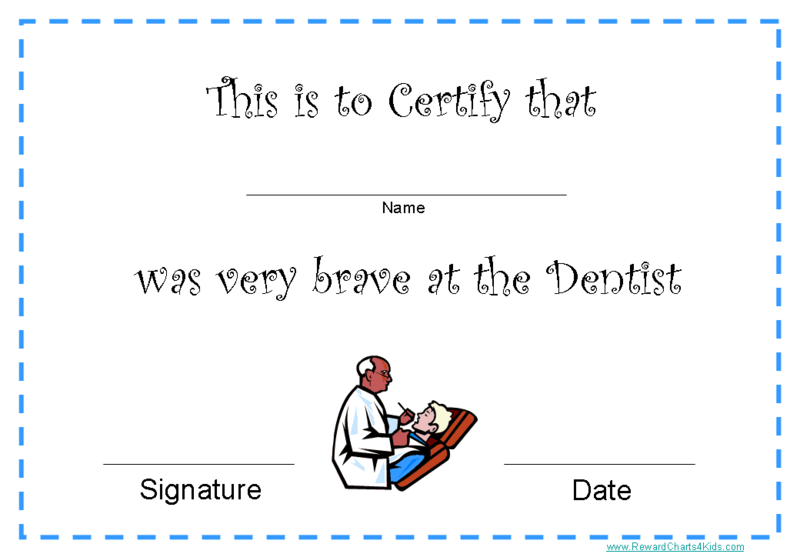 These printable certificates will award children for being brave and well behaved at the dentist. 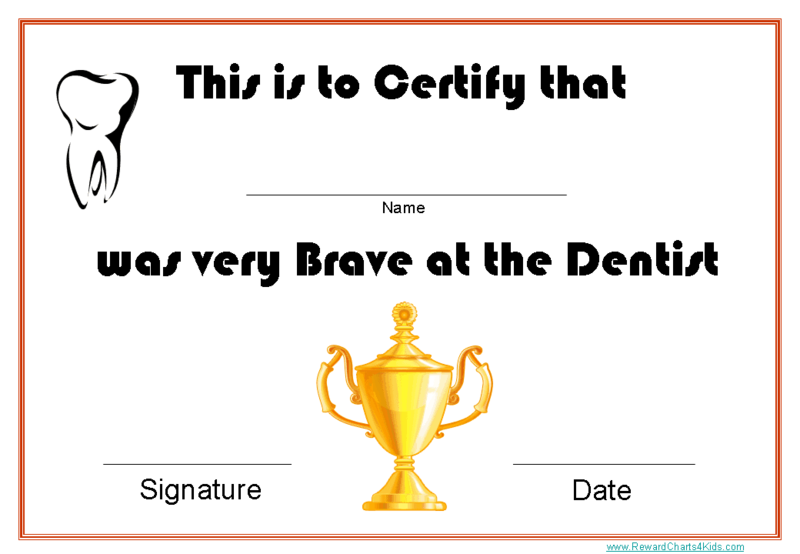 The following printable award certificate templates can be downloaded and printed free of charge for dentists to give to their young patients after a visit or for parents to award their children after a visit to the dentist. 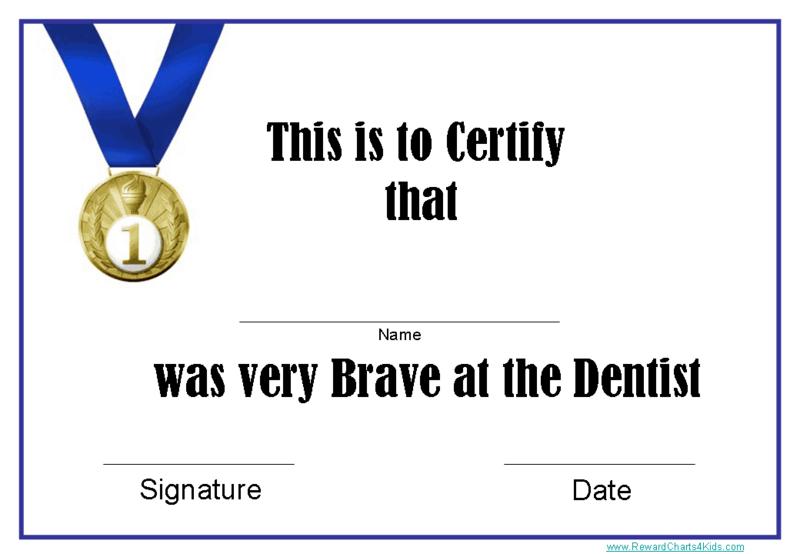 Is there any awards that do not use the term “BRAVE” as we recommend to parent not to use this word with their children. 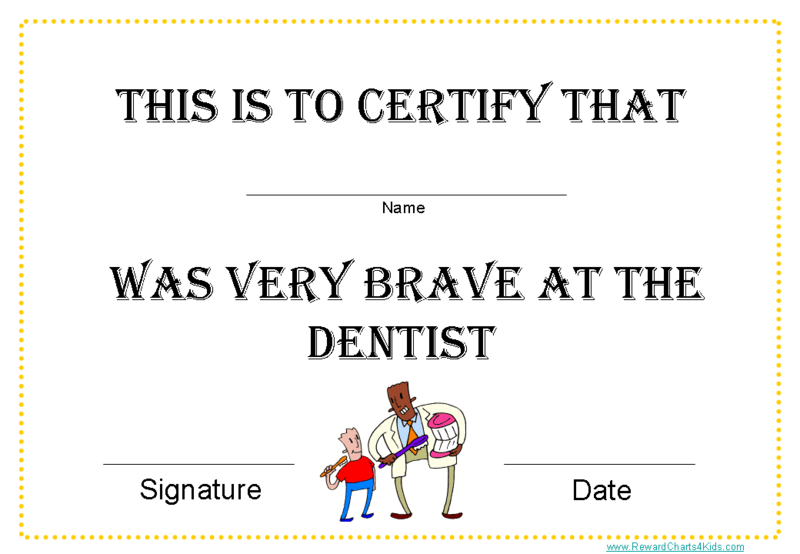 It insinuates that there is somethign frightening and scary at the dentist that you must be brave for. When we want to make it a exciting and fun experience. 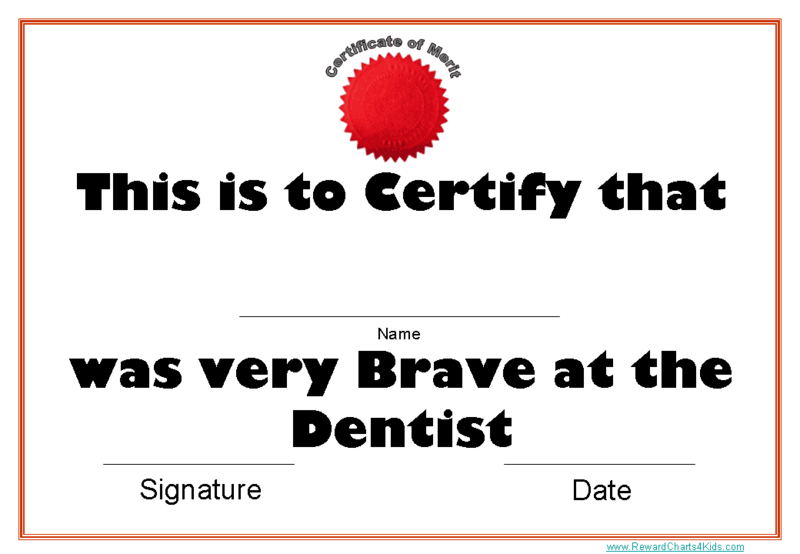 One of the certificates of Bravery at the dentist has a red blob by the signature line. 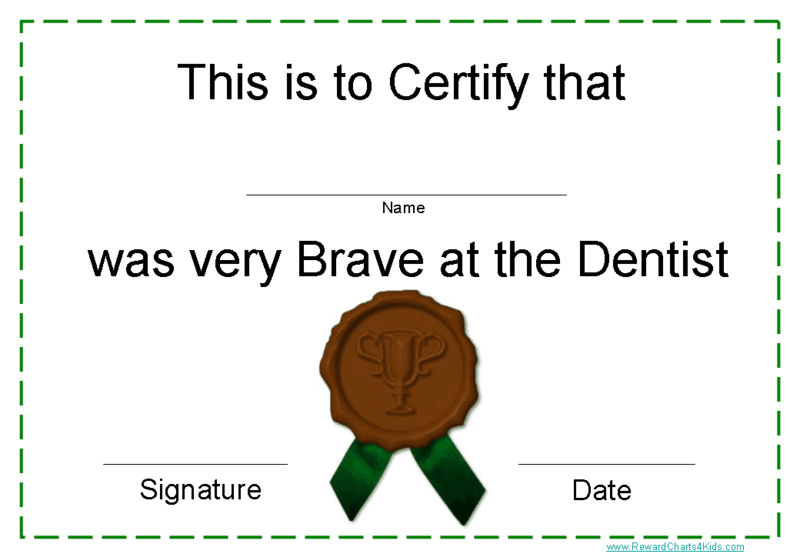 It could appear to look like blood, and being that people are afraid to go to the dentist that might not be the best color. Just a suggestion. It was supposed to be red wax but I see your point 🙂 I changed it to a trophy!